You’ve heard the buzz. You’ve read the statistics. You know what you have to do. Video is the marketing tool of the future. Even now, video is highly effective as a marketing tool for brand and legitimacy building: A recent survey of marketers found over half of respondents said video has a higher ROI than all other types of online advertising. If your social media plan has up to now consisted only of Facebook and Twitter, it’s time to add YouTube to your strategy. 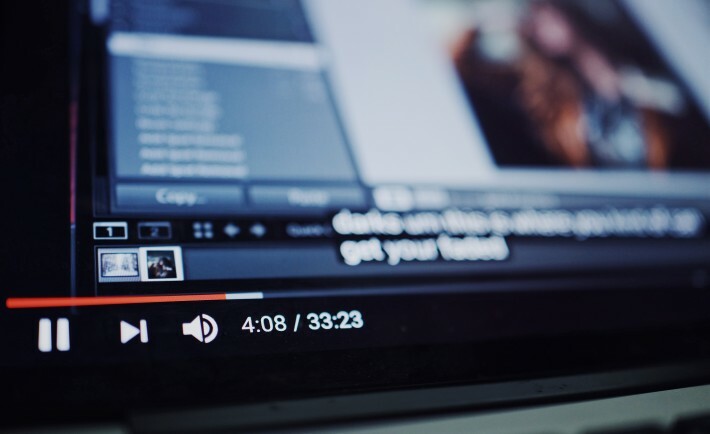 Follow these tips to familiarize yourself with the way YouTube works and learn what it can for your small business. You’ve probably watched countless hours of YouTube videos yourself. Unlike other social media platforms, anyone can view videos on YouTube whether they have their own account or not. But to upload your own videos, you have to have a YouTube account. Google owns YouTube so to access YouTube you have to have a Google account. If you don’t have a Google account, sign up for one. But, wait! What if you already have a personal YouTube account? Can you use it for business as well? It’s not a good idea. In fact, it’s not a good idea whether you’re talking about Facebook, Twitter or any other social media platform. Create a separate account, such as this channel set up for Talus Payments, that’s strictly for business. You Have Google, What’s Next? Sign into your Google account and go to the YouTube homepage. Familiarize yourself with the layout. Click on the left side navigation and look at the options. Click on the upper right avatar and look at the customization and account options. Click the My Channels option from the dropdown. The form asks for your first and last name, but notice the “Use a business or other name” option near the end of the form text. Click the link and complete the form. Now your business has a YouTube business channel. What you have now is the basic account page every business gets when it first signs on. But like Facebook, Twitter and other social media platforms, you can add details and art to match your brand. The channel description is easily overlooked, but don’t underestimate its importance. Briefly explain what the business does and connect your other social media platforms to provide a cohesive online brand. Add, but don’t stuff, the description with relevant keywords and phrases when you describe your business. Add links to your website and a contact email address. You have space for five links and a customizable description for each. Use them. You’ll require two images to customize your business channel. The first is the channel icon. The icon is the small image on the upper right of the page. The recommended icon image dimensions are 800 x 800 pixels. The icon will display at 98 x 98, but the larger size ensures a crisp image when reduced. The channel banner is typically where a logo, business name and a small amount of text, such as a motto, appears across the top. The banner graphic should be 2560 x 1440 pixels. Keep in mind, however, that the safe viewing area for both web and mobile screens is 1546 x 423 pixels. Make sure vital information appears within the safe-viewing range of the banner graphic. Several free and low-cost online tools such as Canva, Stencil and DesignBold offer templates and high-resolution graphics you can use to create an effective banner. When your graphics are ready, use YouTube’s upload option to add your new graphics to the page. The goal when using YouTube for business is the same as it is for Facebook and Twitter: communication with customers, prospects, colleagues and complementary businesses. It’s about building a community and sharing information. Even if you don’t plan to upload videos often, you can still actively participate and grow your YouTube community. Find channels of leaders in your industry, experts and influencers. Follow them, “like” relevant posts and share meaningful content on your page. Use the “Add” section of your profile to easily share liked videos. Share content within the confines of your business and avoid divisive or non-related topics. Check that the shared content setting is public so anyone who stops by your page can see the video. Comment on videos you share and respond to comments users leave. Again, engagement is the key to community building. 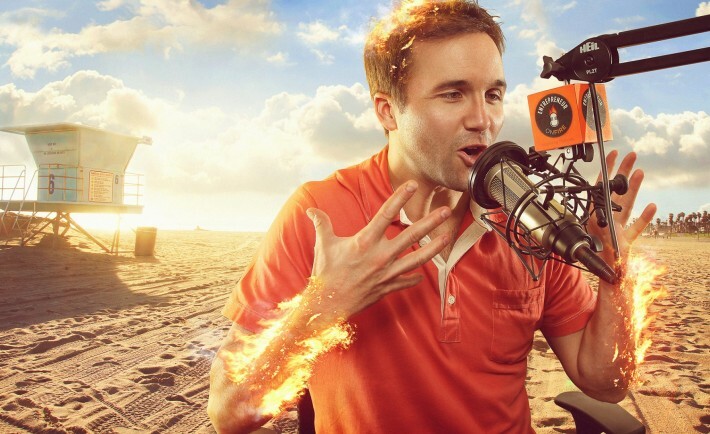 If creating your own videos seems a little frightening, don’t worry. YouTube offers free help tools and tutorials to get you started. The future is video marketing. Don’t let your business fall behind. 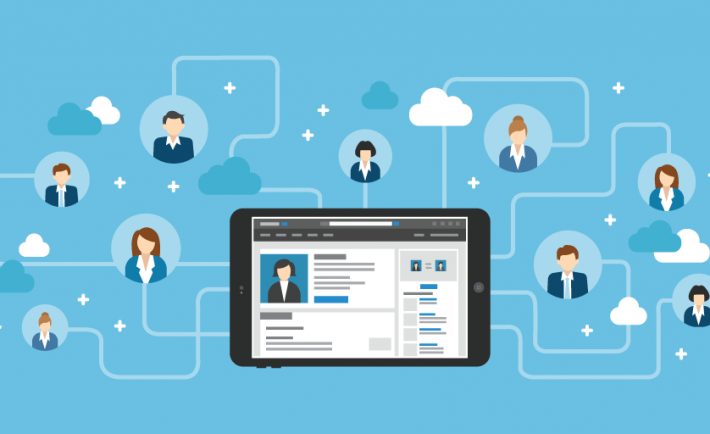 Are you getting the engagement from your professional LinkedIn profile you hoped? LinkedIn is the most widely used social media channel for business professionals, whether they’re searching for a job, looking for talented job seekers or hunting for networking opportunities. If your profile doesn’t seem to be reaching the people you want to connect with, it’s time to do something about it. Use these three tips to turn a dull and ineffective profile into a powerful magnetic professional LinkedIn profile that attracts all the right people. Your picture is you. You may never meet the actual people behind connections you make on LinkedIn, but that doesn’t mean you won’t get to know them or they won’t get to know you. In fact, people who view your LinkedIn profile have to believe there is a real person behind the profile page before they feel comfortable connecting with you. Having the right profile picture is particularly important for those whose profession involves personal one-on-one service. Your profile picture should be of your face from the top of your shoulders up. Go for an approachable, friendly expression, as you can see in Lori Janeson’s profile. Do not include your pets or kids. And look behind you before posing for that picture — you don’t want anything in your photo’s background to distract viewers. Your headline is key. A lot of people use the headline for their official job title. But, you can use that short headline space to add pizzazz as well as essential keywords and phrases instead. LinkedIn is a search engine, after all. If you use your headline to place compelling keyword phrases that explain what you do rather than a simple job title, it makes you more marketable as well as more likely to attract the attention of those searching for your specific talents and skills. Add a value prop and let people know what you can do for them. For example, if you’re a software developer, try something like “Software Engineer: Helping companies provide automated support 24/7.” Focus on what you do best. Avoid using words like “expert,” “winning” or “hardworking” in your headline, however. They sound too much like bragging. Power up your summary. The summary is where you can really show off your stuff. Although it’s tempting to use the same type of information in your summary as you use on your resume, don’t. Provide real examples of how you collaborated, lead a team, effectively communicated and solved a difficult problem. Include dollars and percentages to show the impact of your work. Additional tips: Concentrate on the three areas above, but make use of all available sections in your LinkedIn profile. Use relevant graphics to add interest. Update often. Take the time to turn your LinkedIn profile into a powerful message about who you are and aggressively add to your network. LinkedIn can be your professional best friend if you turn your profile from drab to engaging. It only takes a few minutes. 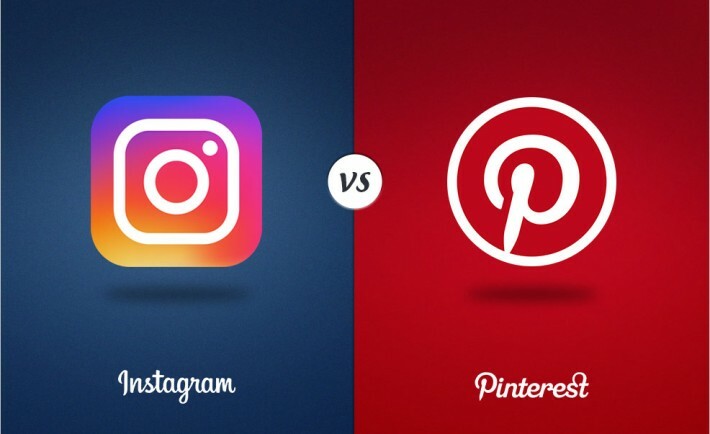 Instagram or Pinterest for Business: Which Works Better? The human brain processes images thousands of times faster than text. The majority of information transmitted to the brain, no matter what its origin, is visually based. In other words, when most people read text, the text transforms into an image before it reaches the brain. If you sell products directly to the public, such as this example on the Filippo Loreti Instagram page, or graphic services online, visuals become even more important. Online users have short attention spans and limited time. If you don’t catch the eye in seconds, you’ve lost them. Pinterest and Instagram are the two most widely used photo sharing platforms. If your business sells products, graphic services or engages in visuals of any kind, engagement in one of the photo sharing channels gives you another opportunity to expand your reach. Which platform is better for your business? Here’s what you need to know. Instagram: At one period of time during 2016, Instagram gained 100 million users per day. The latest counts indicate more than 800 million people use Instagram for photo and video sharing. According to Pew Research, the majority of Instagram users live in urban or suburban locations and belong to the 18-29-year-old age group. The dominant gender is female, but Instagram does have a substantial male membership as well. Small business numbers increased to a substantial 25 million in November 2017, up 10 million from the reported 15 million in July 2017. Recent data indicates that 80 percent of active Instagram users follow a business within the platform. The free Android and iPhone sharing app allows the addition of filters to images, making them more attractive and eye-catching. Pinterest: Pinterest is a virtual bulletin board where users save, or pin, and share graphic images of interest. It’s not wrong to say that Pinterest is pretty much a female domain. Nearly half of women online use Pinterest. Only 17 percent of men use the platform. Pinterest users tend to live in urban or suburban areas, but a substantial group of users live in rural adults areas. Approximately 200 million people use Pinterest and its signature use of “pins” is well over 100 billion to date. Pinterest is the fastest-growing social platform ever — faster than Facebook, faster than Twitter. Pinterest is made to allow users to collect and organize images for the long haul. What Do I Do With the Numbers? Now you know who’s using which channel, define your target audience and determine the goals you want to achieve. Is your target customer a young person? Is your customer predominantly male or female? Do they live in the city or a rural area? As a general rule, if your customer trends toward a young demographic, Instagram is the right platform. An older female demographic target is better suited to Pinterest. Both platforms offer similar engagement tools, such as the ability to run contests, promote events and share options. Choose the platform with users that most closely match your customer and spend most of your efforts there. If you’re considering making any form of branding or business online, it’s always important to remember your audience. If you want to build your online presence, you should always consider social media engagement. Some might think that since you’re starting an online business, or want to gain revenue from blogging, it’s alright to stop with just increasing your audience size. However, you’re missing an essential step. It’s always important to be consistent with follower interaction to grow your presence online. For those who are curious, the following are the top ways on how to increase follower interaction on social media. Let’s take a look. If you want to make your online presence considerably relevant to your customers and fans, it’s always important to engage with them on a regular basis. This allows them to “grow” into your products and services. People who frequently visit your sites and social media accounts should be the ones you constantly engage with. These people, although “lurkers,” can be transformed into fans and even customers. Devoting time to build relationships with them can potentially jumpstart sales, increase numbers in positive reviews, and even develop customer loyalty. It’s therefore a priority to make sure you’re engaging with your followers in order to boost your so-called “cred” or credibility. After all, it’s much more comforting as a customer to be able to interact with a service or a brand as it establishes good relationships. Customers may prefer to buy products from a service that they know they can ask questions to or talk to, than to buy from a “reputable” brand that ignores its customers. If you think it’s time to start focusing on follower interaction, you’re on the right track. Here are some of the best behaviors for social media engagement that you can do for your business and branding. Consistency is key. Perhaps you can start by making sure there is a consistent theme throughout your social media platforms. Use a common color scheme, a common logo, and focus on your niche. This allows people to “know” what they’re getting into. This affords them the opportunity to trust you, as they know what to expect. This also means it’s important for you to start developing ways to “show” your brand to other people. Advertising is perhaps the most common way to generate follower interaction. Be warned, however, that it also tends to be extremely expensive. Social media platforms such as Facebook give you the option to “expand” your reach via your ads. For a fee, Facebook can “boost” your posts and help reach more people. This is a double-edged tactic, however, as there’s no guarantee on the level of interest people who will see your ads. They can be potential customers, or just lurkers who can see your advertisement. This is still a good shot if you have the spare budget. After all, expanding your advertisements’ reach can help you assess just how popular a potential product or service can become. Creating unique content is perhaps the second-most common way to generate follower interaction. It also tends to be the cheapest way. However, be warned that this process takes a lot of time. This is because you have to slowly develop content to make you a relevant figure in your niche. If you’re planning on sharing pieces created by others, don’t forget to give them credit. If you’re planning to make unique content, try utilizing useful quotes, viral videos, funny GIFs, and even entertaining graphics. Remember to always create content that’s unique and not used anywhere else as this helps to improve your overall reputation as an authority leader. Make sure all content is spell checked. Spelling mistakes can appear unprofessional. Collaborations can help, especially if you’re friends with people from other famous brands. If not, try approaching the notable figures in your niche if you could perhaps do a collaboration. You can for instance offer if your service or products can be “joined” with theirs, as you can boost the chances of selling products. Examples of collaborations can be blog posts that promote products and services, contests and giveaways, and other forms of unique content. This also helps you develop more fruitful relationship with other figures in your niche. This can help establish a good presence even to other members of the market. Finally, here’s some other things you may be able to try to help increase follower interaction. Offer freebies, contests or other incentives that may grab your follower’s attention. Trigger emotions by sharing funny posts. Share random questions or quotes to help peak their interest. Share something controversial but not too controversial. You want to peak interest but not make people hate you if they don’t agree with you. These are just some of the ways that you can engage your followers better to get better interaction. At U-Thrive Marketing, we know that these tips above of course do not work “instantly.” You have to mix and match elements of these tips in order to boost your chances of getting more followers to become customers. Try to find ways to have these techniques “match” your branding and marketing, as this helps establish your “identity” in the market. I am the founder of U-Thrive Marketing, Tulsa’s premier online marketing and website design firm. We have helped hundreds of businesses across Oklahoma and the rest of the US take their online marketing to the next level. We specialize in generating more customers for the businesses we work with by utilizing proven online marketing tactics such as SEO, PPC & Social Media marketing. We also have a team of experts that specialize in website development, website design and graphic design. I have also been personally featured on many national and local publications related to marketing. Welcome to the world of online marketing where connecting with an audience is key to making a profit. There are numerous forms of promotion you can look into for boosting the profile of your business. But we think one of the key forms of marketing you should definitely be using is social media. 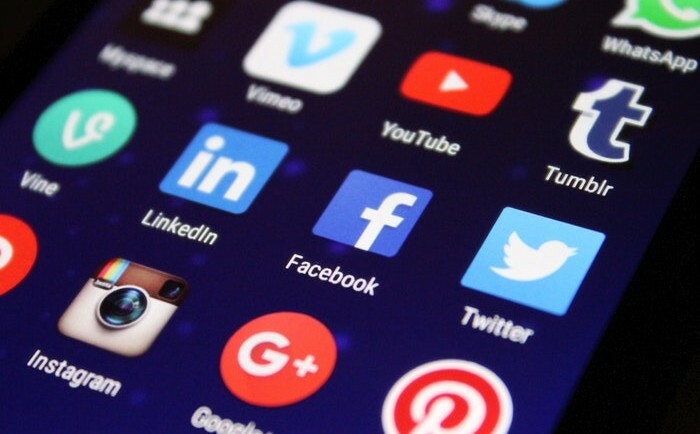 By using social media, you’ll be able to connect with your customers and hopefully find your target consumer. Social networks allow unique possibilities for marketing that are simply unavailable through other methods. There are a number of different social networks that are perfect for marketing your business. On this post, we’re going to have a look at a few of them. We can examine their importance as well as their unique advantages. Twitter is a place where you can update your followers with new information about your business. Or, if your startup isn’t open yet you can let people know when you will be entering the market. By doing this, you can build up support and interest in your company. It’s a fantastic way to expand an already established customer base as well. Online, you have the possibility to use the resources at your finger tips and Twitter is certainly one of them. But now, you have other ways you can use Twitter. For instance, you can share content across this network as well as pictures and videos. By doing this, you can catch the interest of clients in unique ways. As well as that you can retweet other businesses in your industry. By doing that, you may gain the attention of customers who previously used your competition. It’s a brilliant way to catch your competitors off guard. One of the fastest forms of business marketing online is the sharing of images. That’s why Instagram is proving to be an increasingly popular tool for business owners. It’s a great opportunity to show your customers the people behind your marketing and create an interesting campaign. You can even use Instagram to set-up ads online. It’s easy to learn how to create Instagram ads. By doing this, you can run a campaign that helps not only you but any advertisers you might be working with. This type of dual promotion could be tremendously beneficial for your business. When using sharing networks such as instagram, don’t forget to hashtag content. Statistically, adding hashtags to content leads to more shares. Lastly, it’s important to understand that the face of online marketing and social media is changing. In the past, Facebook and Twitter used to be the key players. These are still important platforms, but they are being overshadowed by new ideas. Specifically, the chance for business owners to share live content with their customers and clients. Businesses have already seen degrees of success with this idea using networking devices like Snapchat. By creating a story on Snapchat, you can mould a unique marketing strategy that updates in real time. Doing this, you are sure to win new clients and keep the interest of already invested customers. Your app is not alone. Right now, there are more than 1 million apps in the App Store, vying for users’ attention in nearly every category. Building a great product isn’t enough to make your app the next Angry Birds, and Apple knows it. Just last month, it introduced a “Best New Updates” section to improve the discoverability of apps long after their initial release. But to create a sustainable app, you need to build in solid marketing and distribution strategies to get your app into the hands of the people who need it most. Take Everpix, for example. When the photo storage company closed its doors, it came as a total surprise to users. It was an excellent product that sorted photos with ease and stored an unlimited number of images for a small yearly fee. Everpix had the potential to overturn companies like Dropbox and Flickr, but it made one major mistake: It put all of its budget into product development, leaving little money to sustain the company as it tried to grow its user base. While it seems unfair, the fact is a great product isn’t enough to succeed in the app marketplace. It’s important to strike a healthy balance between development and marketing to ensure sustainability. Release early and release often. You may have heard this refrain before, but it’s vital for growing your user base and attracting investors’ attention. Release core features, then leverage communities such as Hacker News and Product Hunt to grab early adopters before building out the kitchen sink. Look at it this way: If you don’t have a user base, how can you be sure you’re building something people want? Find your niche. You can differentiate your app in a crowded market in two ways: Introduce features that no one else has, or target a specific niche. These strategies aren’t mutually exclusive. Take QUAD, for instance — yet another entrant in the crowded mobile messaging market. QUAD focused on its unique ability to message more than 50 people and has heavily marketed its app to college groups like fraternities and sororities that have a real need for a bulk messaging system. By doing so, it’s enabled itself to live alongside other messaging juggernauts like WhatsApp and GroupMe, rather than compete with them. Be exclusive. Nowadays, it seems like everyone uses Spotify, but it wasn’t long ago that the company was just starting out in the U.S. and only available by invitation. While Spotify used invitations to make it easier to scale in a new country, it also had the added benefit of creating buzz around this exclusive new app. By capitalizing on word-of-mouth marketing, Spotify helped itself stand out in an arena that companies like Rdio and Rhapsody had been occupying for years. Optimize for the App Store. Much like the need to optimize your website for search engines, it’s important to make sure your app has the right keywords in its title and description so users can find you. It sounds minor, but if your app doesn’t come up when users type relevant keywords into the search bar, then it might as well not exist. That’s why app design and development companies like Fueled have started making App Store optimization an integral part of their development process. Build in social calls to action. Social word of mouth is one of the best ways to grow your user base. Build in social sharing so users can brag about what they’ve just accomplished, whether that’s leveling up in a game or logging miles in a running app. It’s easy to assume your app can become the next Snapchat as long as you build a solid product, but what makes that app successful isn’t the fact that it exists — it’s the efficiencies it creates. By focusing on marketing strategies alongside product development, you can create an app that not only makes life better for your users, but also makes a profit for your startup. Gideon Kimbrell is a Miami, FL software engineer and serial entrepreneur. His software engineering work has been praised by companies such as Johnson & Johnson, Barnes & Noble and St. Jude Children’s Hospital. Born in Montana in a log cabin, he entered university at age 15. By 16 he had programmed his first “hot or not” style website. He is the founder of InList.com. InList curates the most exclusive international nightlife and charity events. Why Should Your Company Adopt Social CRM? The following summary is from TechnologyAdvice, a free website service saving small business owners time on finding the right crm lead management software, marketing automation tools, SaaS platforms and much more. 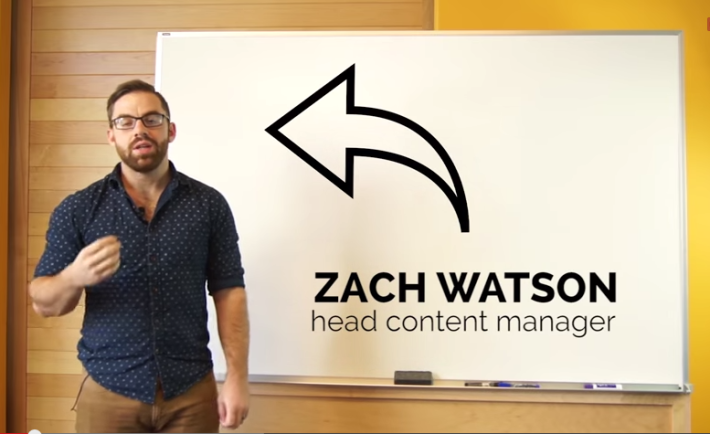 In this Business Technology Whiteboard video session, TechnologyAdvice Content Manager Zach Watson covers the basics of Social Customer Relationship Management, or Social CRM. 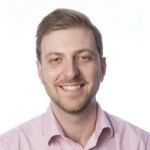 He outlines why all companies should care about Social CRM and the three general methods that companies employ when using social media as a customer relationship management tool. Traditionally, CRM refers to collecting prospects’ data in order to better target them so as to get them into a sales funnel and move them toward a purchase. Social CRM is a bit different because on social media the customer, rather than the company, controls the conversation. Of the millions of social media users in the U.S., 90 percent expect brands to have a social media profile. The ones that leverage Social CRM the best are those that respond and take a “customer-centric approach” to meeting their consumers’ needs. Often, companies believe that posting marketing content on Facebook, Twitter, or the dozens of other social media channels is enough. Yet 60 percent of American social media users expect companies to interact with them through social media. Consequently, companies need to understand and deploy Social CRM tactics in order to be effective and successful in converting social media follow to real-world dollars. Text Analytics and Social Media Monitoring – Using Social CRM software, a company can specify what keywords it wants to follow, whether that’s the name of its own product, the company name, or even their competitors’ names. The CRM tracks those keywords and alerts when the brand is mentioned online, allowing the company to see real-time reactions and quickly engage with social media users. Such online conversations help companies position themselves as experts in their field or as a helpful resource, as well as taking a proactive stance against negative feedback. Paid Media – This CRM method is more traditional in nature, though it takes on a modern look when social media is included. By using the data it has accrued about its prospects, a company can pay Facebook, Twitter, or LinkedIn to show highly targeted ads in users’ newsfeeds. Granular Data – Lastly, Social CRM can take advantage of accruing granular data about consumers and their habits based on the company’s social media interactions with its customers. A company can add social interactions to its list of email and phone interactions in order to gather a more robust view of its customers. Social CRM can be an invaluable tool in a marketer’s toolbox, providing a customer-centric approach that allows companies to get to know their customers on a one-to-one basis. Social CRM isn’t just software; it’s a methodology that all companies should put into practice on a consistent basis in order to better serve their customers. Question: How do you measure whether your branding efforts are working or not? What do you look for? You’ve been hard at work all day on your startup; chatting with investors and developing a marketing campaign. You finally have a couple minutes to yourself and decide to log in into your social media outlets to post a status about your shiny new venture. Next thing you know, you’re completing BuzzFeed quizzes and cursing silently at your friends who just got back from vacation in Hawaii. Does this distraction validate all the naysayers who claim that entrepreneurs shouldn’t be on social media? While it’s easy to get distracted or even depressed while browsing through a news feed, social media is an incredible resource for entrepreneurs. And what better way to communicate nowadays than through social platforms? The problem then isn’t in the game, it’s the player. From investing time in the wrong platforms to over sharing, you can make many mistakes when it comes to your social presence. To help, I’ve outlined five things every entrepreneur should stop doing on social media. We know that you’re proud of your past accomplishments, but you don’t have to share every single feat with all of your peers throughout all of your social media outlets. While you may be excited about your achievements — whether it’s that perfect GPA, that time you climbed Mount Kilimanjaro for charity, or the five previous startups you successfully launched — things are always better in moderation. Instead of trying to constantly validate yourself, focus on the present and remember why you are on social media. Devote your time to mapping out a social media campaign for your current project so that it will lead you to future success. To be brutally honest, no one wants to hear you complain. We all have those days; we all get sick; we all get frustrated and angry with something or someone. In other words, we all have problems and we don’t need our newsfeeds filled with negativity. That’s not saying that your nearest and dearest don’t care, it’s just that negative posts aren’t effective. In fact, studies have found that positive posts on Facebook are more influential and contagious — which is what you want on social media. On that note, you also shouldn’t share articles that bash your competition or are overly political. By doing so, you’re automatically eliminating a good portion of your followers as most people don’t want to read political rhetoric or anything that opposes a brand for which they may also feel loyalty. It’s widely accepted that social media is a conversation; the whole point of being on social media is engaging with other people. Unfortunately, a lot of entrepreneurs are only on social media to talk rather than listen. Instead of just pushing your business, take a couple of minutes every day to find out what’s going on with your followers and engage them. For example, if someone just got a promotion, acknowledge that major accomplishment. This shows that there is a real person behind your account who actually cares about the people who are supporting their up and coming business. That’s not to say that you shouldn’t be promoting your business at all. It’s just shouldn’t be all of the time. As a general rule, make sure that four out of every five communications on social media are non-sales or business posts. That doesn’t mean that your posts can’t be relevant to your field. They should just be content your followers can enjoy and engage with, like an infographic, video or list. Did you know that there are a lot of great tools available that can optimize your social media accounts? If you did, why aren’t you using them? For example, there are free or reasonably priced tools that can perform analytics. This is important because it can inform you which posts have gotten the most feedback, as well as show feedback from your followers. This can be a great way to test ideas without investing a lot of resources into research. While social media may not be the best way to perform high-level market research, it’s a start. It can give you some insight into the wants and needs of your customers. Furthermore, there are tools that can schedule posts, create graphs and track your growth. Since there are so many options out there, we suggest that you check out these eight. While I understand that there are literally a million things running through your mind (since “adults with ADHD are 300 percent more likely to be entrepreneurs”) you shouldn’t promote more than one business at a time. People will get confused. Instead, put all of your energy into the product or service that is ready to go. Once that’s been identified, plan and market only that product or service. Although ADHD can be an awesome trait for an entrepreneur to have, it doesn’t exactly translate well on social media. So focus on just one venture in order to be clear and not confuse the market. Improving the way you interact on social media can not only lessen your likelihood of distraction, but also enhance your business. Have you noticed any other social media mishaps from your fellow entrepreneurs? An entrepreneur and connector, John Rampton is the founder of Palo Alto, California-based Host, a hosting company specializing in helping businesses with hosting their website for free, for life. The lines are often blurred between the roles of CEO, CMO, CTO, CIO and so on in regards to who is the chief of brand vision. Who we are. What do we do. How the public should perceive the company. Does the buck ultimately stop with the CEO? Is the CMO’s primary responsibility to expand brand exposure and grow market share? Is every member of company leadership a part of what a company is and can become? Of course they are, but maybe there should be a CST – Chief Story Teller – role added to a standard C-suite. At the end of the day, the buck stops with the CEO. If they don’t want the responsibility, then they shouldn’t have accepted the title. The ability to share vision with their team and customers is essential to company growth. But is it reasonable to assume that with so much of their time dedicated to creation of that vision and making the hard decisions that come with it, the CEO also has the time to communicate the vision on a daily basis? More important, is it reasonable that every CEO have this ability as one of their great strengths? Should the CMO, who on a daily basis is overseeing the implementation of brand communication and customer acquisition strategies, creation of assets to deliver the message and the team to create them, also be the person on whom this role of Chief Story Teller falls? I would argue that in the early stage of any company, of course it is one of the hats to be worn, but as a company grows, it is essential that this role be delegated (on a daily basis) to a Chief Story Teller who has both the passion and the ability to relay it to others. 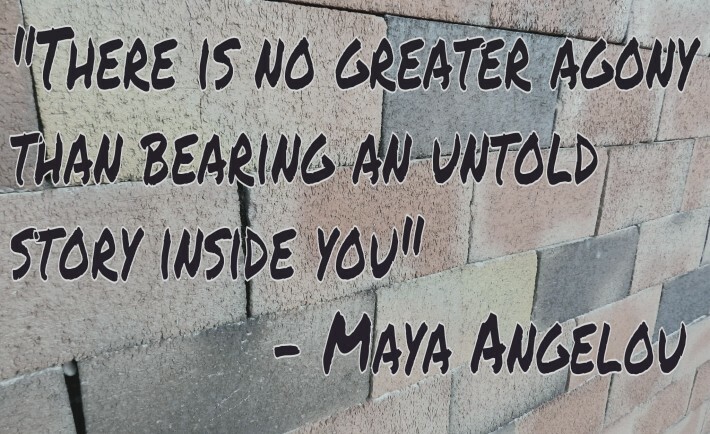 What is a Chief Story Teller? A good example of this would be Matt Cutts from Google. While he is neither CEO, CMO or any other C-Suite title, he communicates of a regular basis with customers via videos, blog posts, and social media. More people know his name than Larry Page and Sergey Brin. His role is Head of the “Webspam” team, which to some may seem like not much, but the baseline of all that is Google is search. Without him communicating what is going on behind the scenes of the Google algorithm changes, many things Google does would not make sense. In today’s world of instant communication, it is possible to share the true vision of a brand and learn from customers what they wish it would become. There is now no excuse in refusing to engage, then have frustration on misunderstanding of your brand by consumers. So often the role being discussed is foisted upon the CEO or CMO, without taking into account all the other responsibilities they have which interfere with this being their main focus. If the responsibility of being the true communicator of the brand was handed not to just a public relations spokesperson, but to someone with both the high level expertise, knowledge of inner workings of the company, and the innate ability to communicate, there are amazing opportunities which present themselves. It is my opinion that by removing the need for sales, while it will be difficult to track direct ROI, the ability to create relationships is greatly enhanced. If the sole role of the CST is to build relationships with no strings attached, then the basic human reaction is to lower mental shields. If the CST isn’t trying to close a deal, only share the true inner workings of the brand, how it can be of benefit, and the true aspects of human emotion and experience, then it is in the customers’ best interest to be open. Not only to becoming a customer, but also to share what they would like to see and how to secure them as loyal followers. This information can then be leveraged by the CEO, CMO, and others in the C-Suite to expand the company in so many ways. Without this role, it is likely that much of the vision will never be adopted by the team. Just as important, the true value proposition provided by the company will not be understood by customers and brand ambassadors shall be lost. What does it take to be an Entrepreneur? 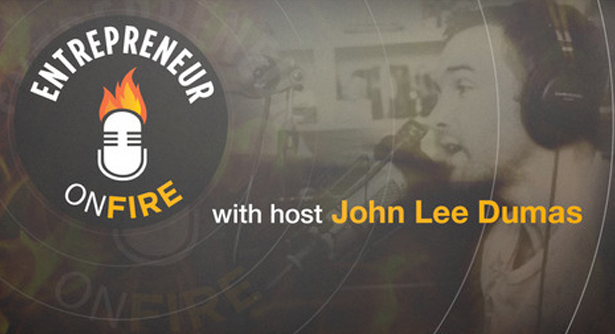 Join us as Clint shares his Entrepreneurial mindset and an inside glance at his journey to becoming a successful Entrepreneur. Clint is the only mentor in the world who helps Authors, Speakers, Coaches & Entrepreneurs create Celebrity and Unique Positioning using Local TV News & Talk Show interviews. His students — he calls them Magic Messengers — have booked more than 1,000 appearances on ABC, NBC, CBS, and FOX affiliates across America, and on major TV shows including the Daily Buzz, Good Morning America, and the Today Show. ‘Accept the challenges so that you can feel the exhilaration of victory.’ – George S. Pattonclick to tweet! Clint spent Y2K driving a cab, then sobbing on his ratty, rented boat in the LA harbor. Fire Nation, sometimes you have to get HUNGRY and be SICK of losing before you can truly win! Clint was spending a fortune on his publicist to get TV appearances, until one question from his wife changed it all. Clint could not be more excited about his ‘Magic Messengers’ and the success they are having! What does it take to be an Entrepreneur? Join us as Stephen shares his Entrepreneurial mindset and an inside glance at his journey to becoming a successful Entrepreneur. Stephen is a Best-selling author and digital marketing expert who helps entrepreneurs eliminate the guesswork behind building an audience, generating leads, and converting sales in a complex digital world. eVoice: The business phone system of choice for entrepreneurs. Make more money and grow your business with eVoice. Use offer code FIRE for $5 off every month FOREVER! 99Designs: The #1 marketplace for graphic design. Visit 99Designs.com/Fire and enjoy the $99 savings! ‘Fear and procrastination are the enemies of success.’ – Unknown click to tweet! Stephen was 28 year old, with millions of dollars, living the life in San Fran during the dot com boom. Then… POP! …The bubble burst, and he was left with NOTHING. Listen to the first step he took towards salvation. Perception is reality. Stephen kept convincing himself of his ‘shortcomings’. When he changed his mindset, his perception did an ABRUPT 180! Predictive ROI is the only company in the world that guarantees YOUR return on investment, or 100% of your $$ back! How can Stephen be so sure? Listen close and you’ll find out! Predictive ROI: Founded on the principle that predictable results and guaranteed return on investment comes from proven practices, Predictive ROI offers an uncommon approach to digital marketing. We’ve all heard the story: An expansion-happy CEO mercilessly destroys a promising startup equipped with a steady growth trajectory and a roster of top-tier clients, all within a year of his ascension to the throne. When you’re in charge of a company’s growth and marketing strategy, it’s tempting to chase the numbers by drastically widening your marketing reach. But if you want to grow and succeed in an industry, you can’t take a “fire hose” approach to marketing. If your company is stuck in a growth slump (or veering off course), you might be overshooting your target audience. Here are three reasons your marketing efforts aren’t making a connection. I recently consulted for a healthcare company that was struggling to close leads despite having a great product. After reviewing its marketing presentation, the problem practically jumped off the page: Its target customer was completely ambiguous. After we settled on a single audience, the company had a clear value proposition and marketing approach that more narrowly targeted its specific audience. You might think you need to stretch every dollar as far as possible to get the maximum ROI on your marketing spend, but aiming for a general audience is a waste of money. It dilutes your message, your marketing, and your strategy. Instead, focus on a highly targeted audience to create a relevant, authentic connection with potential customers, and use your marketing budget efficiently. Just because you’re familiar with the ins and outs of your product or service doesn’t mean your audience understands it. Your value proposition should never become a guessing game. Customers, investors, and the market really only care about two things: the problem your product solves and why it’s better than any other solution out there. If you can’t answer those questions in layman’s terms, your audience will go elsewhere. You may have a narrowly targeted audience, stellar creative, and perfect messaging, but if you don’t offer actionable takeaways for your audience, you’re missing a critical engagement opportunity. Whether you want your audience to make a purchase, learn more, or enter a contest, your instructions need to be clear. Never put out a message that doesn’t communicate a desired outcome to your potential customers. • Nail down your medium. Don’t assume a one-size-fits-all strategy will work for your startup. You need to understand what works for your industry and what fits your goals. A fashion entrepreneur may succeed in an ancillary New York Fashion Week event and post her line to Pinterest. But a B2B startup may be better off focusing on thought leadership to land a speaking engagement. Research the best medium for conveying your message, and get your story out as quickly as possible. • Know your customers’ habits. When you know your audience’s habits, it’s easier to meet them where they are. 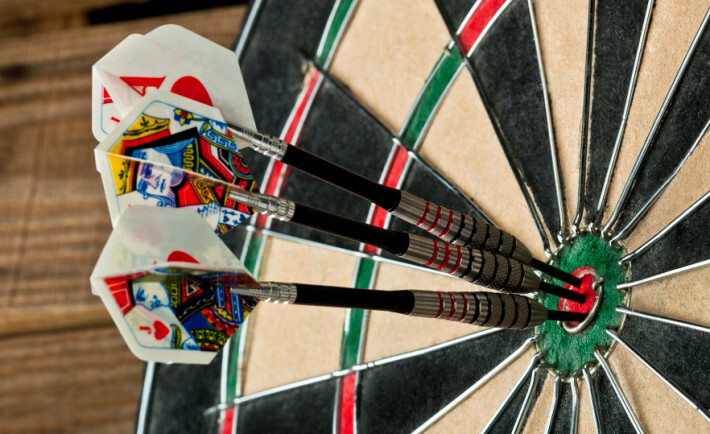 Find out where your target customers congregate to execute perfectly. For example, I market to entrepreneurs. I know they’re on the lookout for new opportunities, and they consume information almost exclusively through their mobile devices. So I focus on capturing relevant headlines on Twitter and aligning with organizations that curate people I want to talk to. I may only have a second to get their attention, so I focus on concise, attention-grabbing tweets and speaking opportunities at popular events. • Consider your costs. Spend your hard-earned money on customers who understand your message and are more likely to use it and become product evangelists. However, cost doesn’t always mean dollars. It includes time and effort as well. The barrier to entry on social media may be low in dollars, but think about whether you have the necessary bandwidth to manage, grow, and interact with your following. • Scale your marketing. There is no definite answer for how much you should spend on marketing, but according to Bloomberg, companies should start by spending about 5 percent of their revenue on marketing and adjust as they grow. No matter how wonderful your product is, you can’t be everything to everyone. And when you try to market it that way, it weakens your message and pushes your audience away. Concentrate your efforts on sending out the perfect message for the right audience in the best place, and your marketing dollars will work harder. Pick your most relevant segment, and let your new brand advocates do the rest for you. Allison Conkright Engel leads global marketing and operations for the Dell Center for Entrepreneurs. 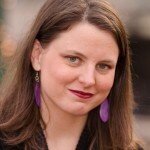 Prior to Dell, Allison worked for various startups, leading their Southwest expansion efforts. She has more than 15 years of experience in media and marketing and has worked for several iconic brands. Connect with Allison on Twitter.